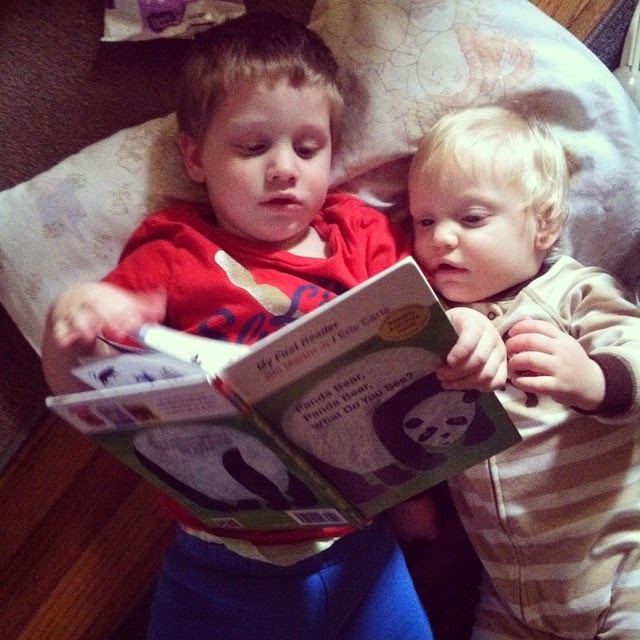 My little guys sharing a book. Here I go again, gotta saddle up and jump on my soapbox: I'm a huge proponent of childhood literacy and I think that when a child learns to love reading when they are young, it will continue throughout their lives and they will continue to enjoy reading as adults. There are so many positive things that come from a love of reading and so much knowledge to be gained from books. It makes me so happy to see my kids reading and the fact that my infant and toddler love to sit down and look at books brings me so much joy because they became curious on their own, but they learn so much just from their curiosity and interest in what words match pictures and what the words mean. It makes me sad to think that there are some kids out there who never get to experience the magical feeling of a good book. I'd love to see it become more common to see a book in a child's hand than an electronic device... perhaps and unattainable dream. With the love of reading and the magic of the experience in mind, Put Me In The Story personalized books allows parents to have some of their favorite book characters include them in their fun adventures by adding your child's name and image into the books themselves. This will make reading all the more fun because they can use their imagination and see their name on the pages to pull themselves into the story. 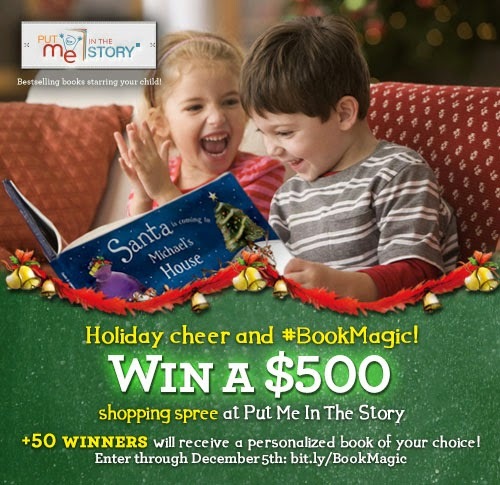 Personalized books would make a great gift, and right now Put Me In The Story is hosting a giveaway to bring some #BookMagic to your family's holiday this year! Disney's Sofia the First Personalized Book that would bring #BookMagic to my daughter this holiday season. The You Are My Heart Personalized Book would bring #BookMagic to my daughter this holiday season. If I could keep you little book for my daughter.